Say buffet and the images of long lines, frenzied crowds, and drowning in a sea of food easily come to my mind. Not that being lost in a sea of my favorite dishes is a bad thing. I can imagine swimming in an endless ocean of sour cream potato chips and just opening my mouth for a giant bite—ooops. Where was I? Oh buffet. The parade of food got going. The varied selection of food is always a welcome treat, but having to jostle other patrons to nab that oh so sumptuous looking tidbit? Not so welcome. Hyatt Hotel and Casino’s Cantonese restaurant LiLi changes the way we look at eat-all-you-can gluttonfests with their Yum Cha Buffet. Instead of lining up to get food from long buffet tables, LiLi’s Yum Cha brings the food to you. As you’re seated, a server provides menu cards that list the dishes being offered. You’re then asked to tick the boxes beside the dishes you want. Dishes are cooked on demand so you may expect a bit of a wait, but patience is a virtue and you’ll be rewarded with freshly cooked choices that haven’t been picked over by other diners. “Do I need to order everything now, or may I order more later?” I asked our server. “Well, you may but I recommend ordering everything now because it takes time to cook,” he recommended. “If it’s not enough, you can order more later.” Sounded good to me. 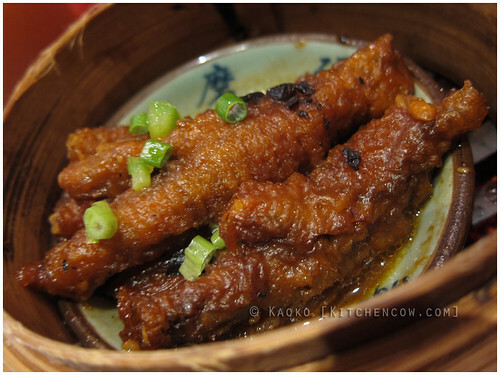 I will never get the attraction of Chicken Feet. My mother loved it. Grabbing a pen, I started ticking boxes off. A tough task since everything sounded yummy. There were no pictures. It was a simple listing, but there were short descriptions that were more than enough to entice me. Seeing how many boxes I ticked, I started getting worried. I was quickly reassured that these weren’t full-sized dishes. The kitchen takes in consideration how many people are in the table and adjust the portions based on that. It was only after handing our menu cards off did I get to observe our surroundings. LiLi is quite unlike a usual hotel restaurant. Instead of the big, airy areas, LiLi has dividers and panels scattered everywhere, ensuring that diners get a little peace as they dine. They also have enclosed rooms, styled after different rooms in a house, for private gatherings. 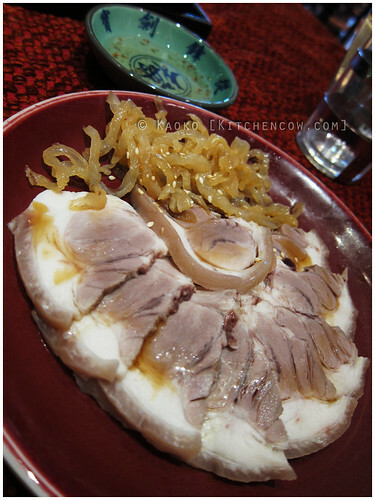 Our first dish, a plate of cold pork slices and jellyfish arrived. The pork was rich and lardy, drizzled with black vinegar helping balance the richness. The jellyfish had that characteristic gummy texture. It was a pleasant start to a very long meal. Next came the dimsum—a glorious parade of colorful little dumplings. 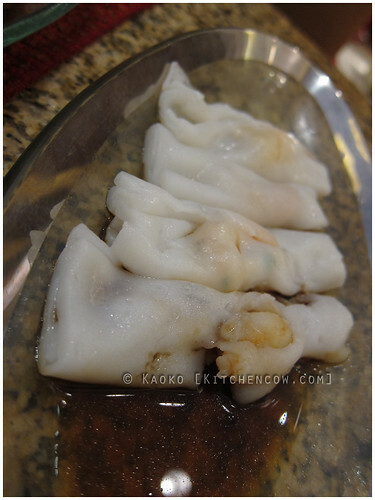 We had hakao, shumai, a shrimp and spinach dumpling, and chicken feet. We had shrimp filled rice rolls and a crispy pancake. It was all so good, I wanted to inhale it all. 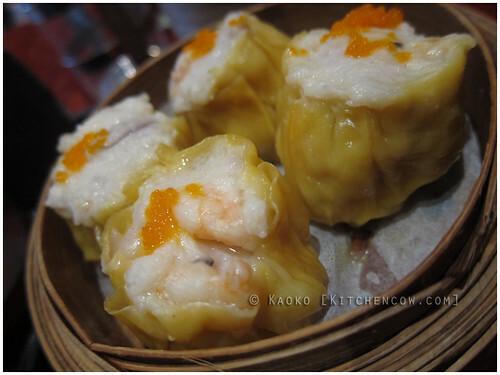 The shumai was a mix of pork and shrimp, making for meaty bites with deep flavors. 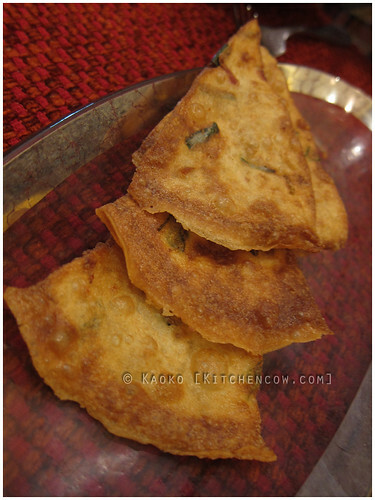 The pancake was crisp and addictive—I could easily munch my way through a barrel of that. The rice rolls were delicate yet resilient, lightly flavored to let the shrimp shine through. 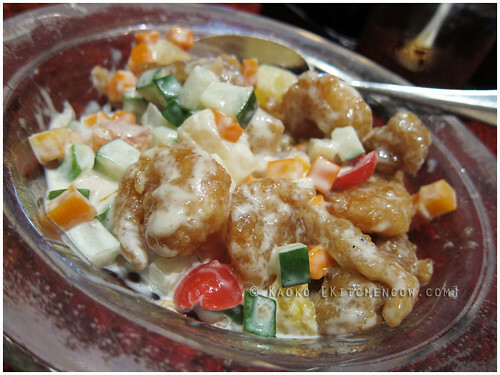 Next came a fruit and prawn salad I insisted on ordering. Then a fish fillet and tofu dish. 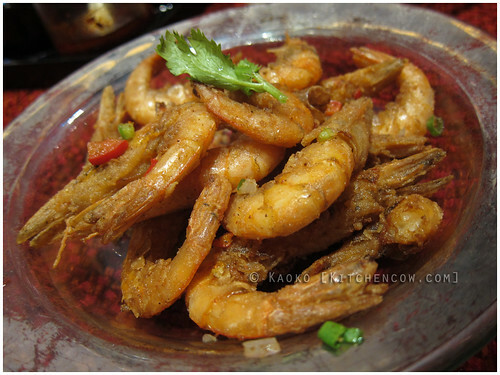 Then a wok-fried prawn cooked with tea leaves. I almost jumped up and down when the next dish turned out to be simple bok choy in oyster sauce dish. “Are all your orders here?” Our server inquired. What’s a girl to do? I lied. 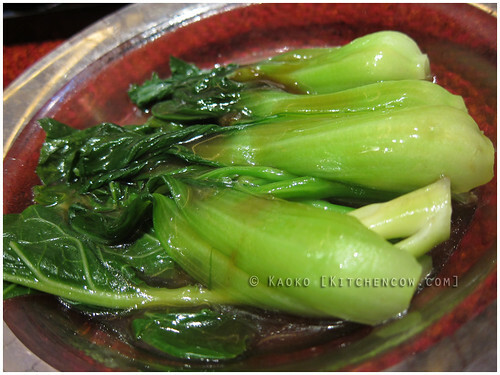 Bok Choy in oyster sauce, salvation! Surprisingly, we finished most of it. I loved the fish and tofu dish. 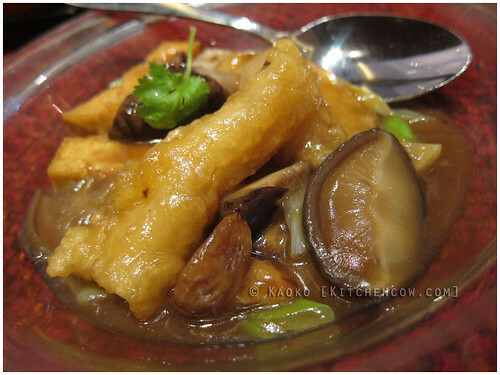 The lightness of the fish and tofu blended well with the earthiness of the shiitake mushrooms. The bok choy was perfect for refreshing our palates, contrasting sharply against the rich, fragrant crispy shrimp and the rich and creamy prawn salad. Yes, rich was the word of the day. Mango Pudding! Can’t go without trying it. We even found ourselves heading off to a small room off the main dining hall where the dessert buffet was laid out. 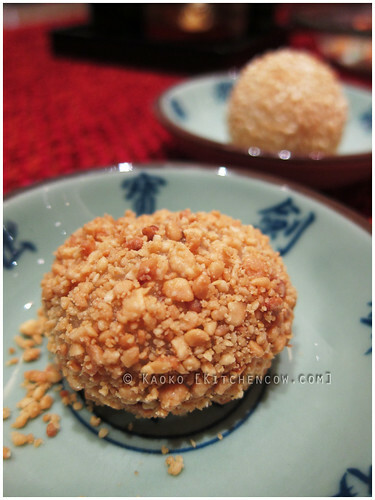 We selected the mango pudding, some fruits in syrup and some buchi. And we finished that as well. Dazed with all the rich food that never ceased to come, I finally understood what they mean when people say, “being fattened for slaughter.” After that wondrous feast, I could’ve gone to heaven happily. Thankfully though, that was not the case. After all, how else can I come back to try out the remaining 2/3s of the menu card? 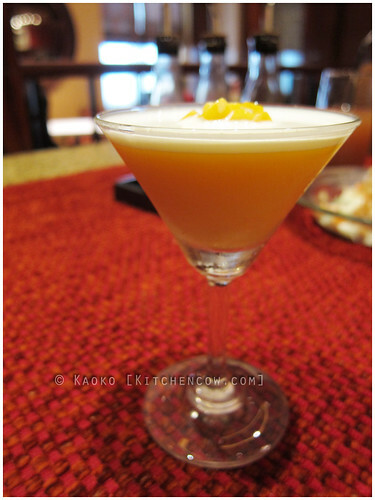 LiLi Restaurant is at the Hyatt Hotel & Casino Manila. Phone number (02) 245-1234. 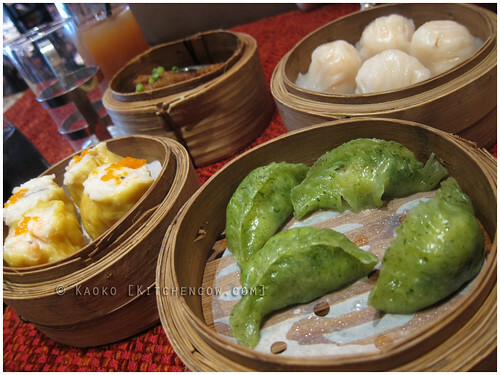 The Sunday Yum Cha buffet is valued at P1,330+ per head. Sounds something worth trying! I guess if there are too many items on their menu, it’s difficult for them to provide photos for each one. But this looks like a real gastronomical adventure.